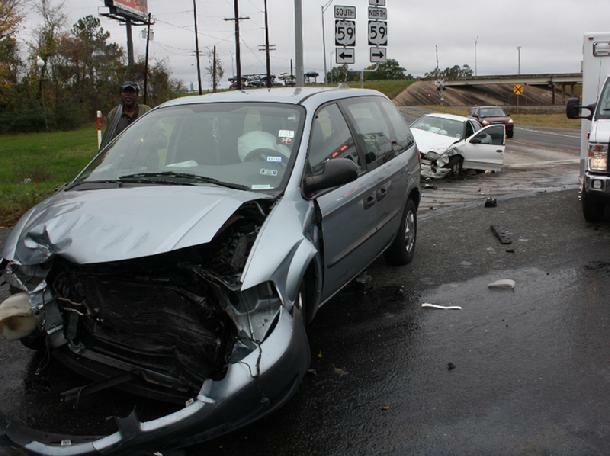 Failure to Yield, Accident Hospitalizes 2, LIVINGSTON, December 5, 2011 - At approximately 10:10 am on December 5, 2011, Joe Ross, 71, of Angleton, was at a stop sign on North Houston at Business 59 in his blue 2002 Dodge Caravan. Ross attempted to cross over Business 59 but failed to yield to a white south-bound 2000 Pontiac Sunfire driven by Arenda Hill, 56, of Corrigan. 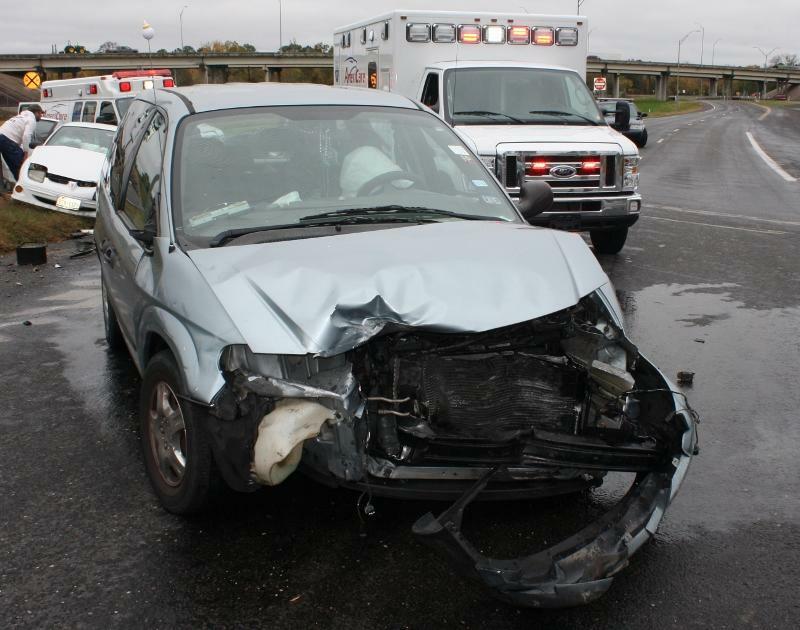 Hill's vehicle slammed into Ross' vehicle. Ross' vehicle spun around and came to rest in the road, Hill's vehicle came to rest at the edge of the curb on the south-bound side. Americare Ambulance Service was dispatched to the scene along with Officer Chad Ward with the Livingston Police Department, Sergeant Ronnie Bogany, and Trooper Darwon Evans with the Texas Highway Patrol. Hill and her passenger were both treated at the scene and transported to Livingston Memorial Hospital by Ambulance with undisclosed injuries. Hill's passenger's head struck the windshield breaking it. Joe Ross was physically okay. 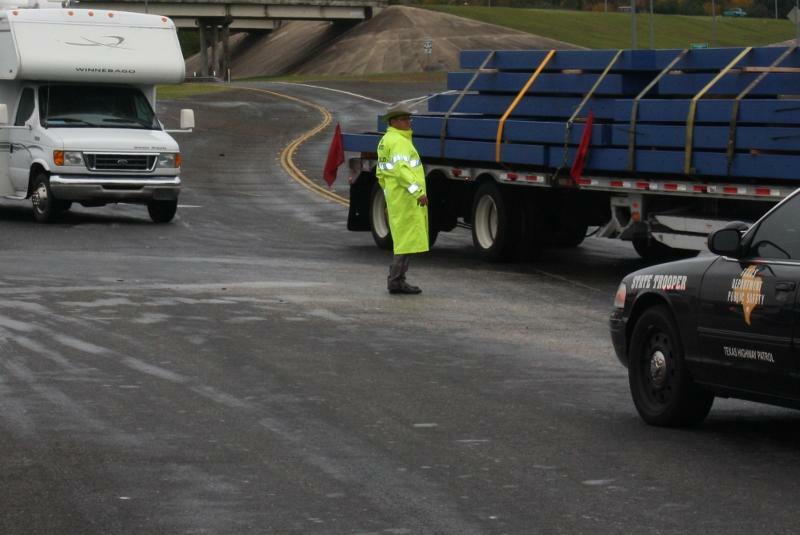 Traffic was partially blocked during investigation and cleanup. According to Officer Ward, Ross was issued a citation for failure to yield right-of-way from a stop sign. Both parties had insurance. A rollback wrecker from LakeView Wrecker Service recovered both vehicles. The scene was cleared shortly after 11 am. 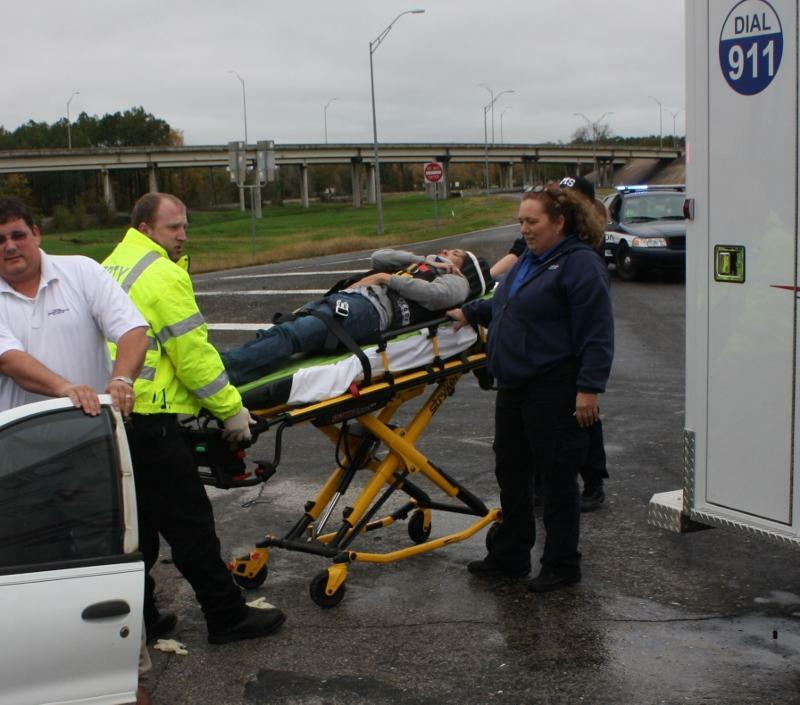 Arenda Hill of Corrigan is treated by EMS personnel. The windshield shows where Hill's passenger's head impacted. 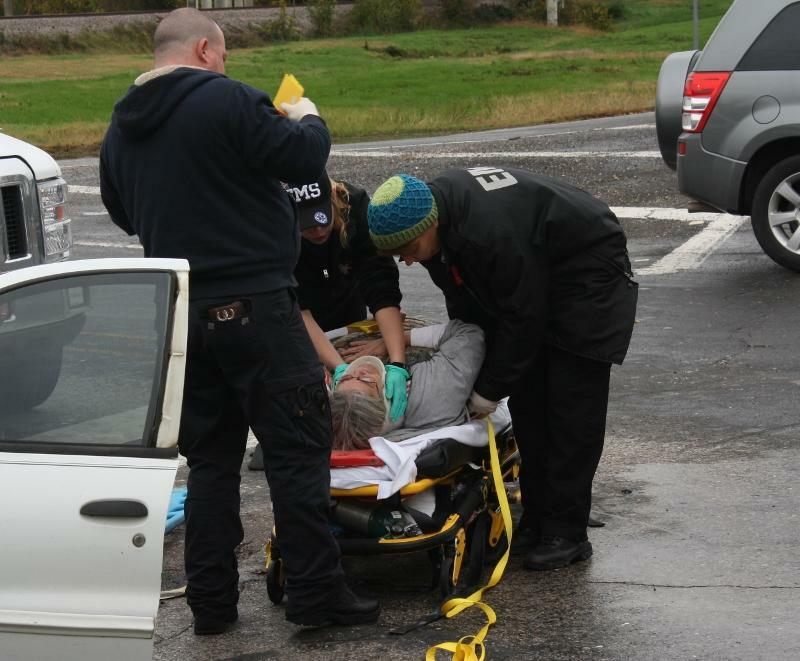 Emergency personnel work to safely remove her from the vehicle. Joe Ross' 2002 Dodge Caravan is probably totaled. 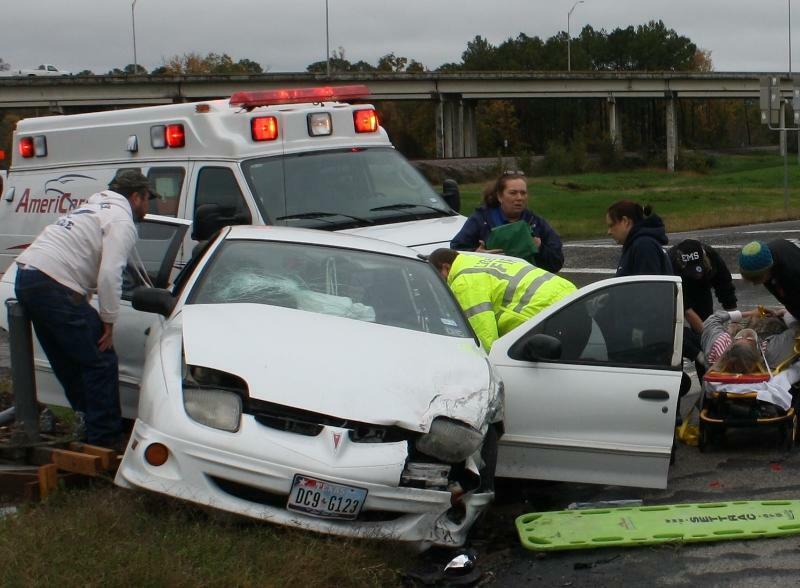 Hill's passenger was safely removed and rushed to Livingston Memorial Hospital. 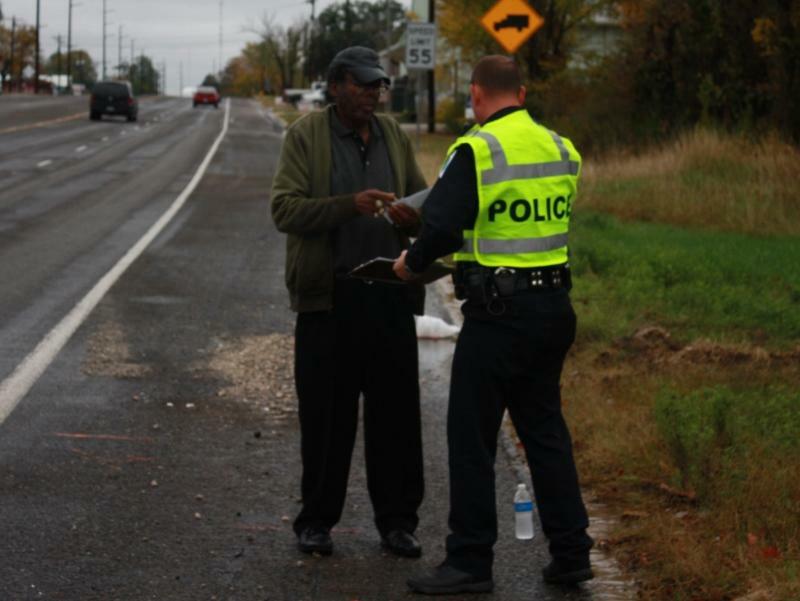 Accidents within the city limits are mostly handled by LPD, but the Troopers are always willing to lend a hand. Trooper Darwon Evans directs traffic as the accident is being cleared. 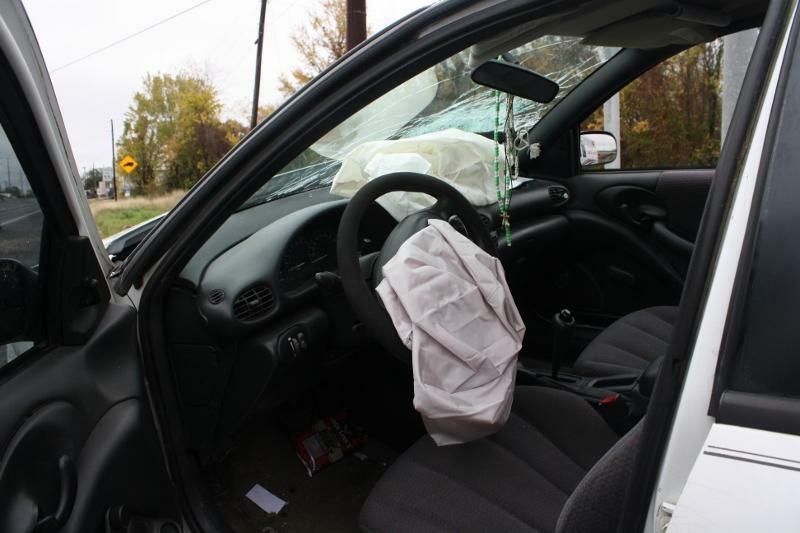 Airbags in both vehicles deployed. Joe Ross was issued a citation for failure to yield right-of-way from a stop sign (Officer Chad Ward pictured with Ross). 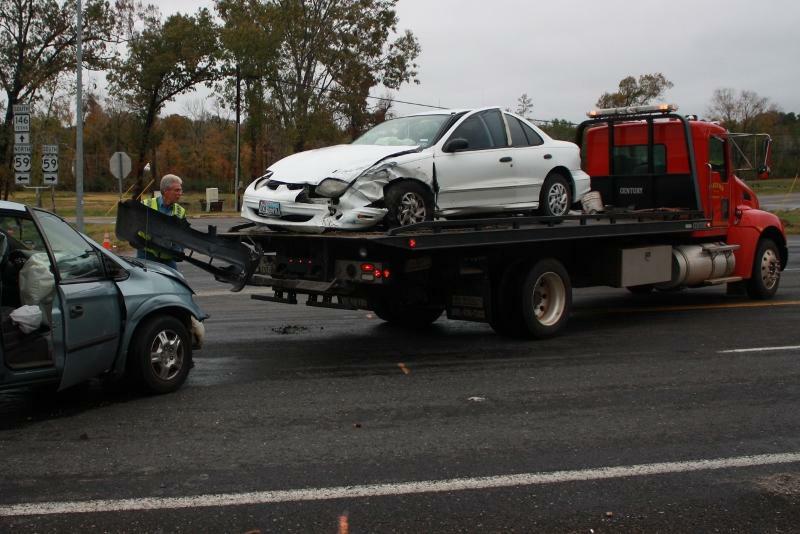 Both vehicles were recovered by LakeView Wrecker Service.